Freedom Road Socialist Organization | ¡Tim Thomas, Presente! Tim Thomas (right) with family of Alan Blueford and community supporters on the one year anniversary of Blueford’s murder at the hands of OPD officer Miguel Masso. Please join us in mourning the passing and celebrating the life of our comrade (James) Tim Thomas in Oakland, CA at the age of 71. Tim was a revolutionary organizer, writer and educator who was beloved for his discipline and intellect. Tim was born in August, Georgia on May 20, 1944, and grew up there and in Delaware. He entered the military in 1963, which he described as having “spurred his national consciousness.” At George Washington University, Tim became active in the Black Liberation and Marxist movement that remained his lifelong passion. A self-described OG, Tim was a leader of SOBU (Student Organization for Black Unity) and later YOBU (Youth Organization for Black Unity). He was also very active in the African Liberation Support Committee. Tim joined the Revolutionary Workers League in 1972 and later the League of Revolutionary Struggle (LRS), a New Communist Movement group that brought together in one organization Asian-American, Chicano, Puerto Rican, African American, and white communists who shared a vision of national liberation as a critical element of communist revolution. After that group dissolved in 1990, Tim and a number of former LRS comrades came into the Freedom Road Socialist Organization, where they continue to advance the theory and practice of self-determination socialism. As Co-Chair of FRSO’s Oppressed Nationality Commission, Tim helped us live up to our commitment to building the Black Liberation Movement through its downturns and upsurges. He wrote extensively about Bay area peoples’ movements, organizing methodology, and developments in the Black Liberation Movement. Tim saw to completion an extensive update of our Oppressed Nationality Unity Document, which was passed just last month at FRSO’s 2016 Congress. Tim also chaired a FRSO working group on immigrant rights. At the time of his death, he was collaborating with comrades on a comprehensive paper about the Black Liberation Movement. After doing rank-and-file labor and community organizing in DC and Chicago, Tim answered a call to move to Oakland in 1988. He became deeply involved in many Oakland community struggles, drawing on his experience to support new leaders and build united fronts. Tim helped to win environmental protections, good jobs and community oversight in the Port of Oakland redevelopment/base closing. As an organizer with Reclaiming Oakland through Organizing and Solidarity (ROOTS, formerly Occupy the Hood), Tim worked with the Stop Goldman Sachs Coalition and other efforts to developments that are driving out communities of color from Oakland. 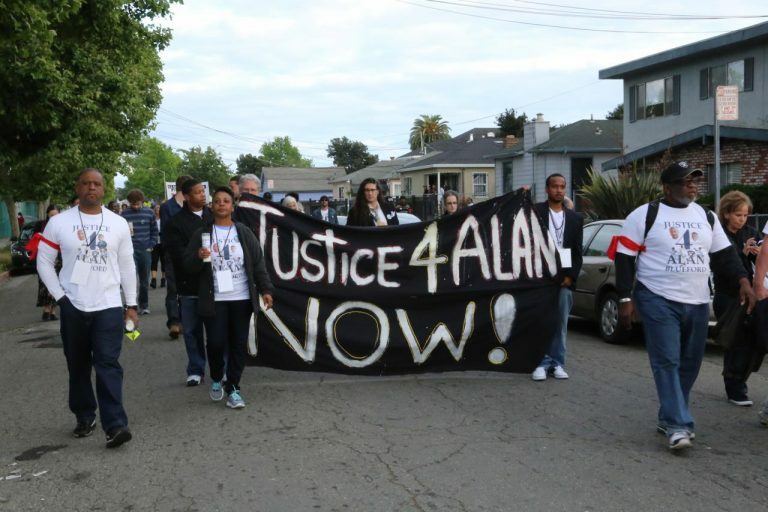 Tim helped to build the movements against the police murders of Oscar Grant, Alan Blueford and other Black youth. He was the former Community Building Manager at Habitat for Humanity East Bay and former Executive Director of the Emergency Services Network, where he did advocacy and service coordination for the homeless. Tim served on the Boards of Urban Habitat and the Workforce Collaborative and was involved in the Black Left Unity Network. Tim was also the father of a grown daughter and son, as well as a diehard football fan who was rarely without a team hat or jersey.